At Rs. 47,990, the Samsung Galaxy Tab S3 may be the best Android tablet out there, but is it the tablet you’re looking for? The tablet segment has seen a big decline in the past of couple of years. While there are quite a few budget options, the higher end segments are almost completely taken over by Apple’s iPads. There are a few Windows hybrids, which linger around in the same price segment, but most of these tablets don't have the power or the finesse Apple currently provides. Samsung thinks otherwise and is back with a high-end Android powered tablet. Priced at Rs. 47,990, the Samsung Galaxy Tab S3 is not for the budget buyer, but has the makings to be the best Android tablet available today. It is a high-end tablet even positioned as a laptop alternative, and hence has a pretty good resume. However, being an Android tablet restricts Samsung from making the Tab S3 as productive as Windows or iOS. This is mainly due to the lack of support for tablets on Android apps. To bridge this gap, Samsung has its own layer of software on top of Android, which certainly makes it better than many Android tablets. 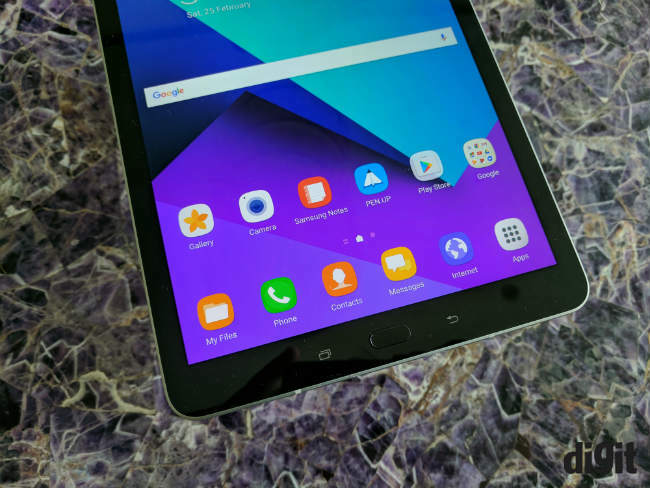 Things like alt-tab, multi-window and the native support for Samsung’s S-Pen, which is included with the tablet is supposed to make the tablet more productive. 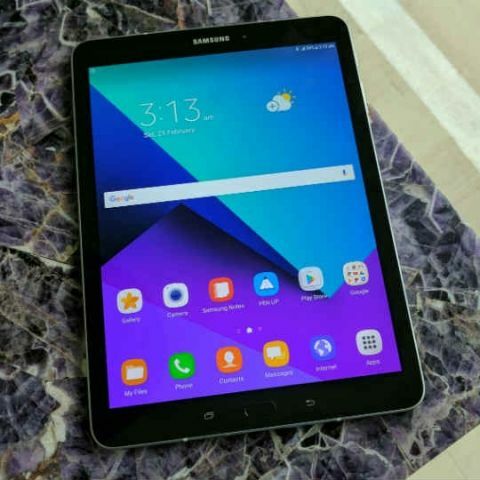 However, it is still an Android tablet and if you want to use regular apps, like instagram, you will get stuck with an enlarged mobile app, which can only be viewed properly in portrait mode. If we put software out of the way however, the Galaxy Tab S3 seems like a very good tablet and the addition of an S-pen certainly makes things easier. Borrowed from Samsung’s Note series, the S-Pen works seamlessly here, as it does on the phones. You can use the S-Pen as a cursor to move about or navigate the tablet and you can call upon dedicated air commands by tapping the button on top of it. 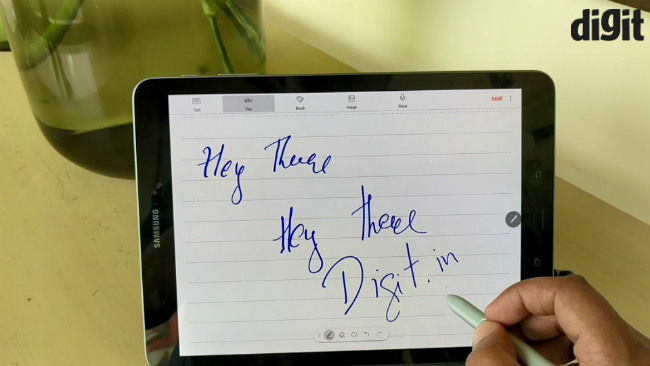 Best of all, you can type notes in your own handwriting and the tablet will convert them into text automatically. This is not new from Samsung, but it remains quite interesting and useful. We don’t yet know if the S-Pen is at par with the Apple Pencil or Surface Pen, but it feels quite good. 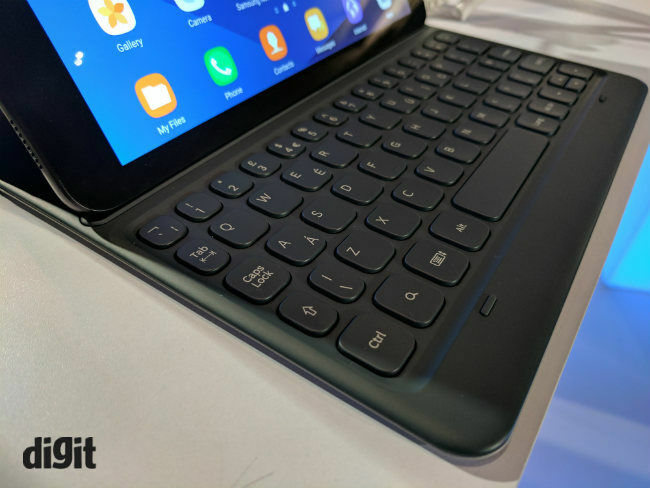 I also tried the new type cover keyboard, which connects to the Samsung Galaxy Tab S3 with pogo pins. It is quite easy to use, as you can simply dock the tablet and it connects. The keys have decent travel and Samsung told us that the keyboard supports alt-tab for multi-tasking, although it didn't seem to work during the demo. The type cover has a matte-ish feel to it and looks as good as the tablet itself. Samsung’s glass and metal design is used on the tablet and while the tablet is a fingerprint magnet, it looks good. The Tab S3 packs in a lot of power as well and should do well on the performance charts, thanks to the Qualcomm Snapdragon 820 SoC, which is no surprise at an asking price of Rs. 47,990. It has 4GB of RAM, you get 32GB of internal storage, and the display is a sharp 9.7-inch sAMOLED panel, with a resolution of 2048 x 1536. If you are still crunching numbers in your head, the pixel density is 264ppi. 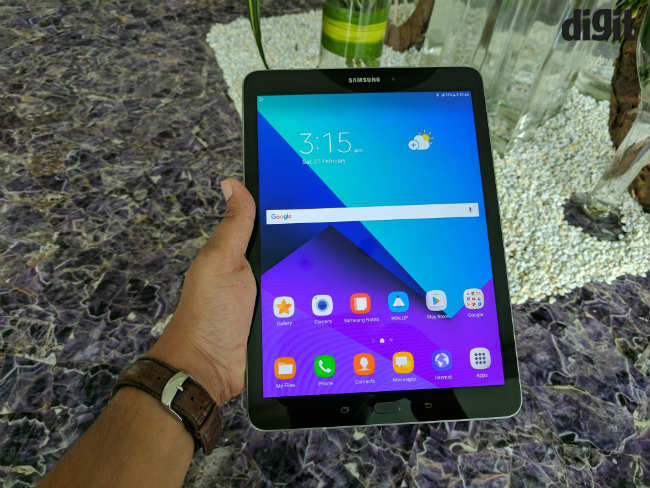 So, the specs are definitely better than the Galaxy Tab S2, which was launched back in 2015, but it is still not the latest hardware available today. That being said, during the short time I spent with the device, I didn't find the experience lacking or laggy in any way. The 9.7-inch sAMOLED display looks amazing and quite sharp, offering good text legibility, although I couldn't check its HDR capabilities at the demo. 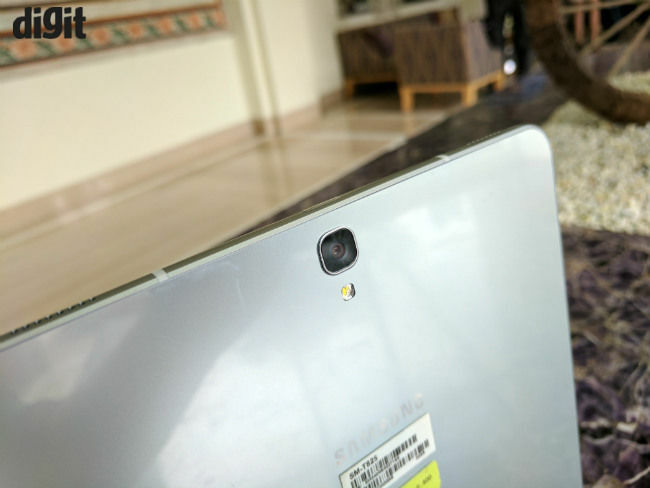 The Galaxy Tab S3 offers two cameras, a 13MP rear shooter and a 5MP front facing camera, which work as intended. Although, I am not sure who or why someone would use a tablet this size to click pictures. On the other hand, the AKG tuned quad-speakers are located in sets of two on either side of the tablet and are loud enough. Samsung also has something called the “auto-rotate stereo”, that changes the audio output depending on the orientation the tablet is in. WHICH IS A BETTER PHONE HTC DESIRE 816 VS SAMSUNG GALAXY S3 NEO? should i buy samsung galaxy tab 3??? Is it value for money??? ?